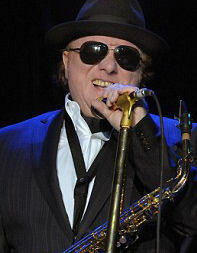 Singer Van Morrison has hit out at claims that he is a dad again at the age of 64. He carried on to say that he is still “very happily married to Michelle [Rocca],” who he has two small children with and that it was the second time in three months his website had been hacked. US spokesperson Phil Lobel, who backed up the claims has since been unreachable for comment. Van is dad to daughter Shana, 39, with ex-wife Janet “Planet” Minto and daughter Aibhe, 4, and a son, 3, with Michelle.